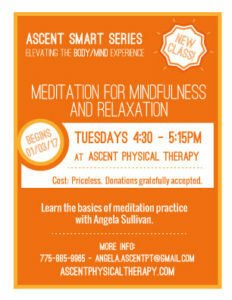 Learn the basics of meditation practice with Angela Sullivan. COST: Priceless. Donations gratefully accepted. ← WHAT’S NEW FOR 2017?